More about Marimekko Unikko Beige / Blue Oven Mitt Add splashes of color to your kitchen with the Marimekko Unikko oven mitts created from the popular Marimekko poppy pattern of the 60s. 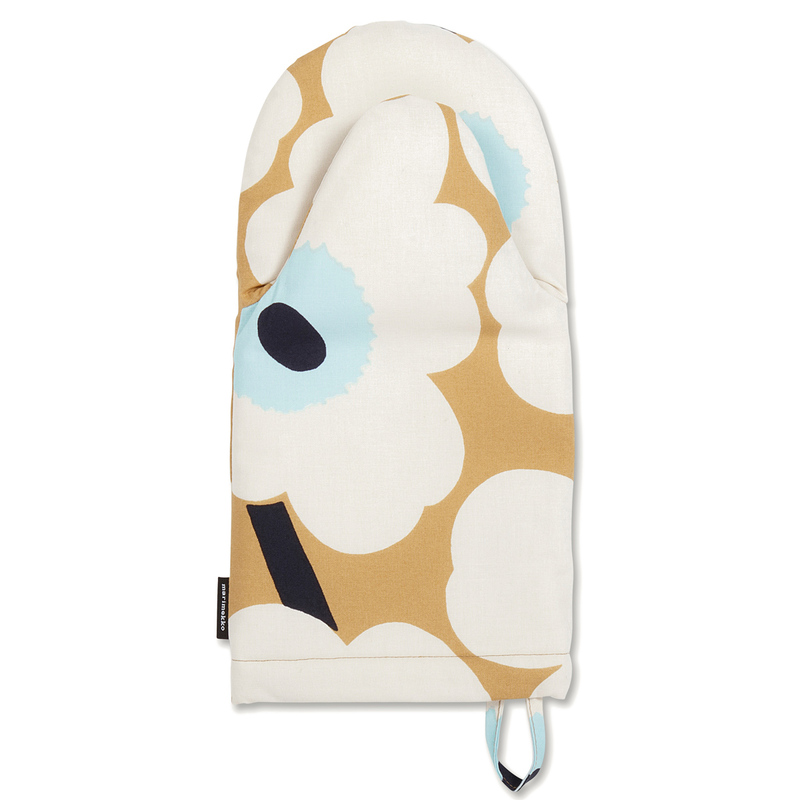 Marimekko oven mitts fit snugly in your hand for reaching in the oven and pulling out your favorite hot dishes. This oven mitt also features extra padding in the hand and thumb for better protection.